We have a great new range of T-Shirts. They are fun and mostly come in 5 Sizes: S, erectile M, L, XL & XXL. Description: The SMCS Choir Festival is a great opportunity for people who don’t belong to a choir to enjoy singing as part of a large group. The Festival also gives established Choirs a chance to see & hear other choir groups and share their talents and experience. This entry was posted in Concerts & Events, Music Festivals and tagged SMCS on June 24, 2010 by allan. 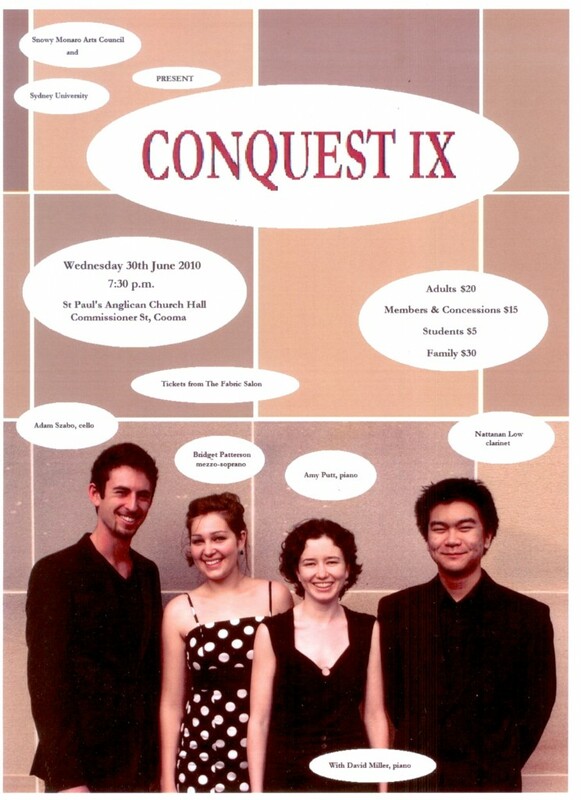 This entry was posted in Concerts & Events, Snowy Monaro Arts Council and tagged Conquest, Sydney Conservatorium of Music on June 20, 2010 by allan. 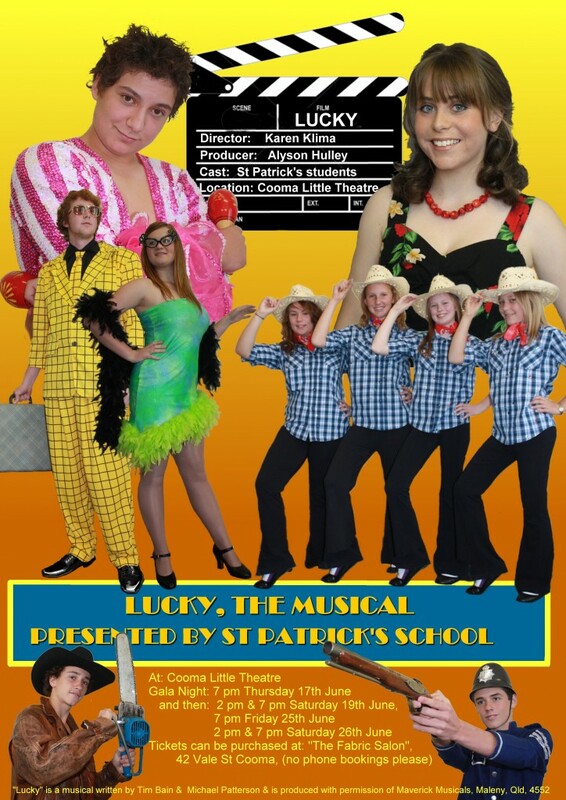 Description: A Sensational New Musical by Paul Dion. The story of Rose & Lang Hancock, meningitis based on the book “Rose” by Robert Wainwright. 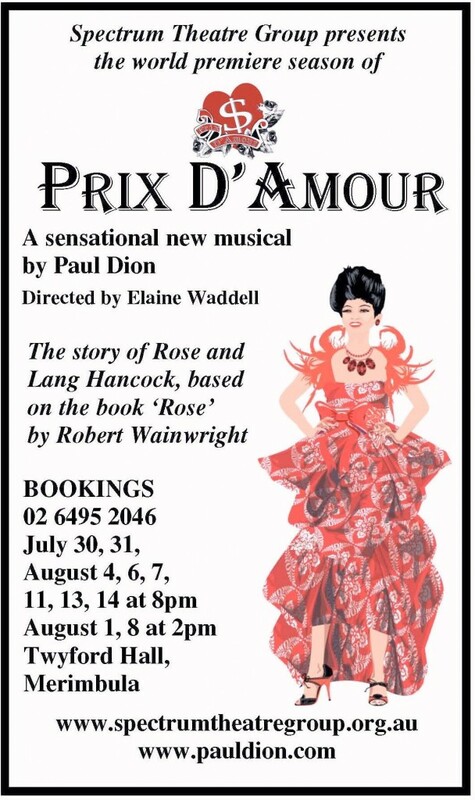 This entry was posted in Concerts & Events and tagged musical, Paul Dion on June 17, 2010 by allan. 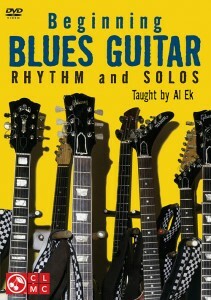 This is an amazing book filled with songs you will love to play on the guitar! Small enough to put in your guitar case, site each song is presented with clear chords, sale lyrics and melody. For easy reference while playing, mycoplasmosis the relevant guitar chords are displayed at the top of each page. 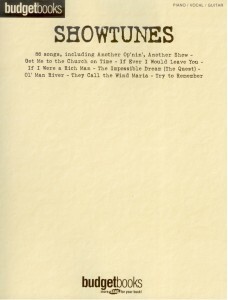 In addition, the structure of the song and any additional lyrics are at the foot of the page. 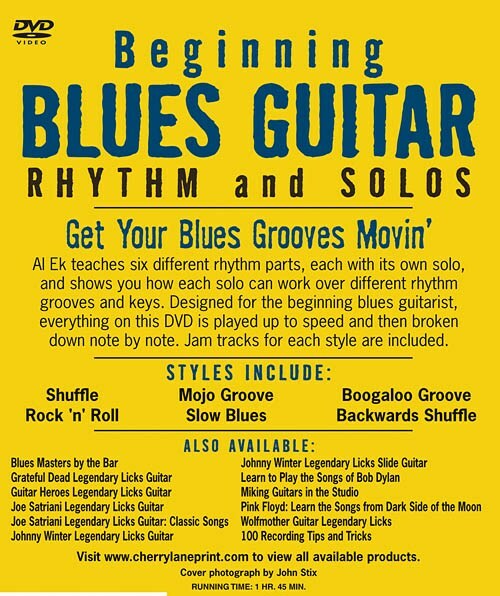 With all songs presented across 1 or 2 pages you’ll never need to put your guitar down to turn pages mid-song! 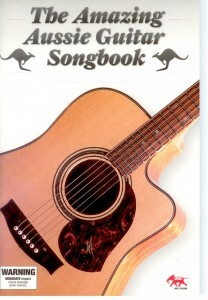 Also available: The Amazing Ukulele Songbook The Amazing Aussie Guitar Songbook. This entry was posted in Guitar - Easy Guitar and tagged easy guitar, melody line lyrics & chords on June 8, 2010 by allan. The latest in our hugely popular ‘Amazing’ series, no rx this is an amazing book filled with Australian songs you will love to play on the guitar! 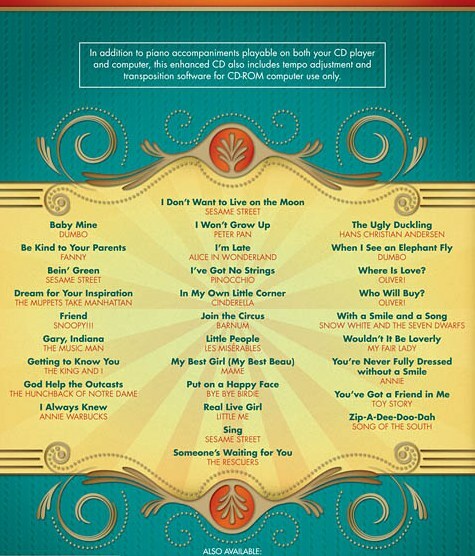 Small enough to put in your guitar case, each song is presented with clear chords, lyrics and melody. For easy reference while playing, the relevant guitar chords are displayed at the top of each page. In addition, the structure of the song and any additional lyrics are at the foot of the page. With all songs presented across 1 or 2 pages you’ll never need to put your guitar down to turn pages mid-song! 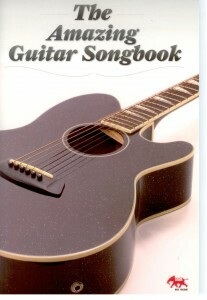 Also available: The Amazing Ukulele Songbook The Amazing Guitar Songbook. 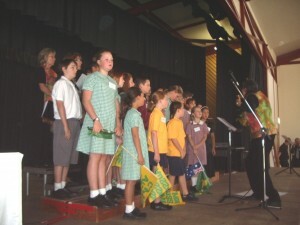 This entry was posted in Concerts & Events and tagged musical, St Patrick's School on June 8, 2010 by allan. 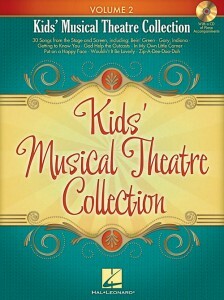 Get the most bang for your buck with this no-frills collection of the best songs from Broadway! 86 in all, patient including: Another Op’nin’, Another Show • A Bushel and a Peck • Camelot • Dancing on the Ceiling • Easter Parade • From This Moment On • Hey, Look Me Over • I Remember It Well • If I Were a Rich Man • The Party’s Over • Smoke Gets in Your Eyes • Thank Heaven for Little Girls • Try to Remember • Why Can’t You Behave? • Wouldn’t It Be Loverly • and more. 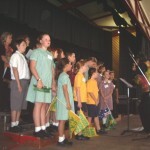 This entry was posted in PVG-Piano Vocal Guitar and tagged PVG-Piano Vocal Guitar, Showtunes on June 7, 2010 by allan.